Our programs are set in a professional, nurturing and educational environment. 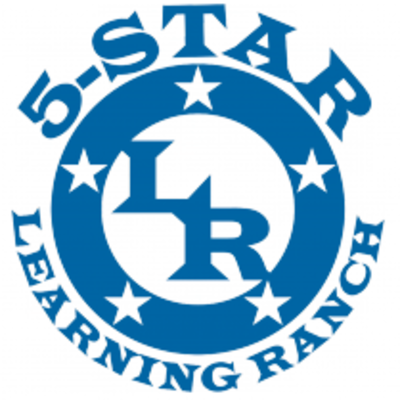 5-Star Learning Ranch's curriculum offers opportunities for exploration, hands-on activities, problem solving, and beginning reading and writing skills as well as learning through the arts. Owner and Director, Anita Graham, and her staff, offer their 85+ years of combined experience in helping children to grow intellectually, emotionally and socially. Graham holds a Master's Degree in Educational Leadership, and currently holds a Principal’s Certificate. She also has a Bachelor of Science in Interdisciplinary Studies (Elementary Education) Degree with a specialization in Early Childhood Development. Her work experience, which spans over 20 years, includes having held the position of Director and District Manager for a corporate day care company, teaching at the elementary level, having served as Assistant Principal of an elementary & middle school, director of a Head Start Program and owning a Teacher Alternative Certification business. She additionally taught at the college level for three years, preparing upcoming teachers for their role in teaching children from early childhood through fourth grade. Anita Graham's experience highly qualifies her in establishing a school that provides individualized learning at a premier level. Implementing all she has learned during her teaching and administrative career ensures the success of the Early Childhood programs that are of the quality that parents can trust. For more information please call 630-406-5787.